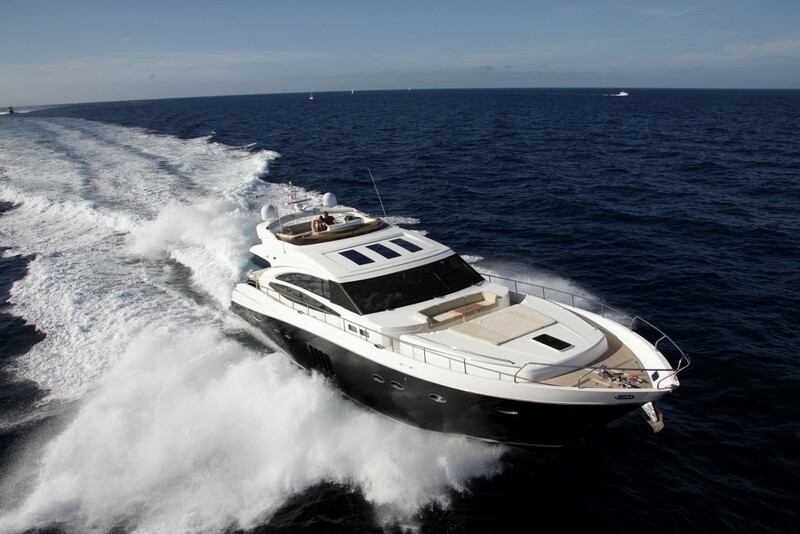 Motor yacht BAGGIO is a Princess V Class yacht measuring 23,00m (75 feet). 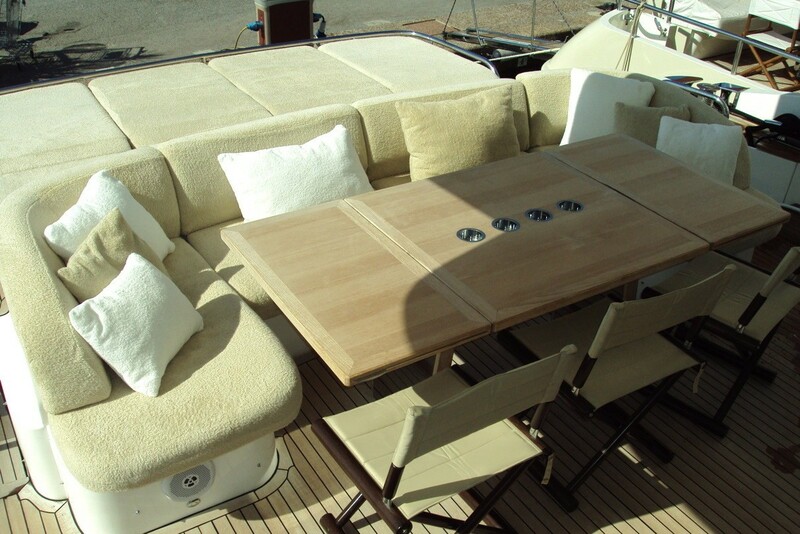 The yacht was delivered in 2009 and can accommodate 6 guests in 3 cabins. 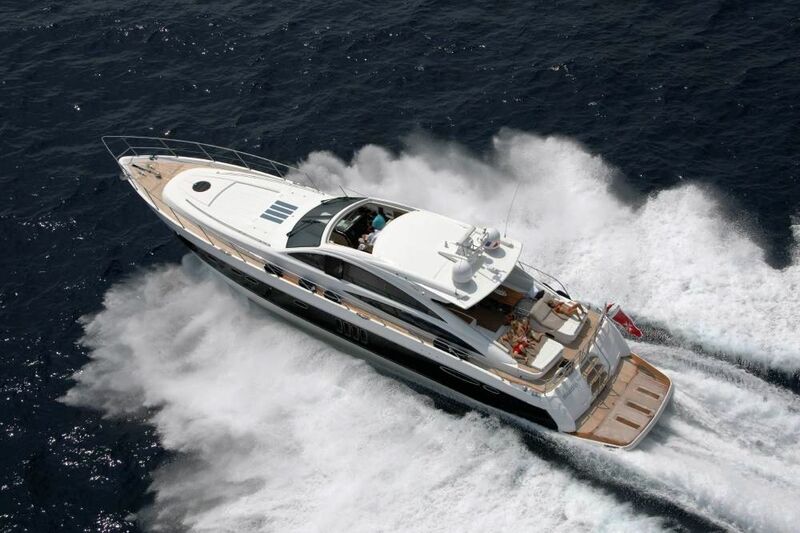 The Princess motor yacht BAGGIO is a powerful and lively craft with unexpected volume for her class. 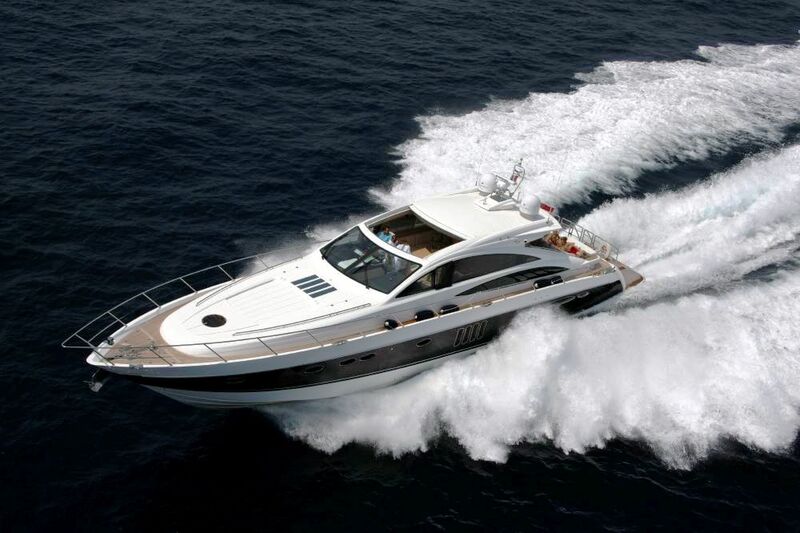 M/Y BAGGIO has an unmistakable Princess profile with muscular lines and deep V hull, offering excellent cruising capability out on the water. 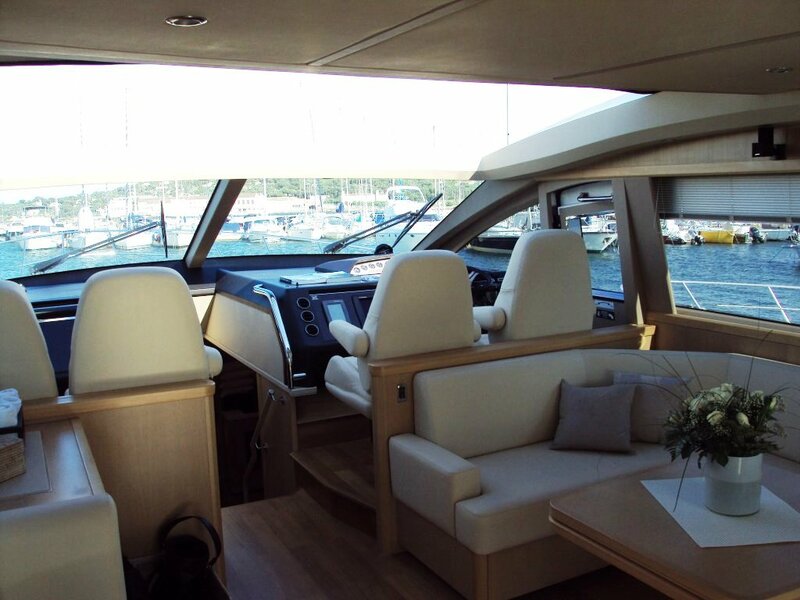 Motor yacht BAGGIO has an enclosed main deck featuring a saloon and dinette which shares the open-air flexibility of the sliding hard top with the twin helm position to starboard. 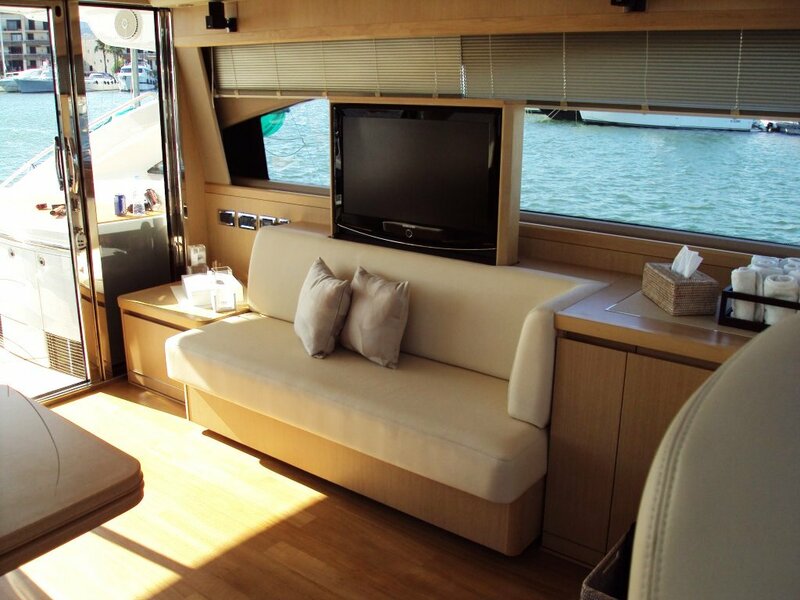 The saloon offers comfortable seating on stylish leather covered sofa with the latest entertainment systems at hand, while the forward dinette doubles as an additional seating area for guests while underway. 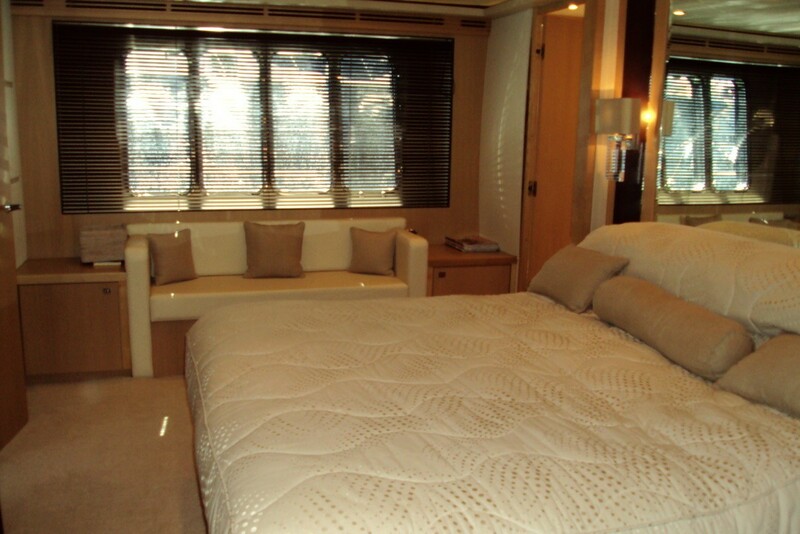 Overnight accommodation onboard motor yacht BAGGIO is situated on the lower deck and includes a full beam owner’s stateroom amidships, complete with a walk-in wardrobe and an en-suite bathroom. 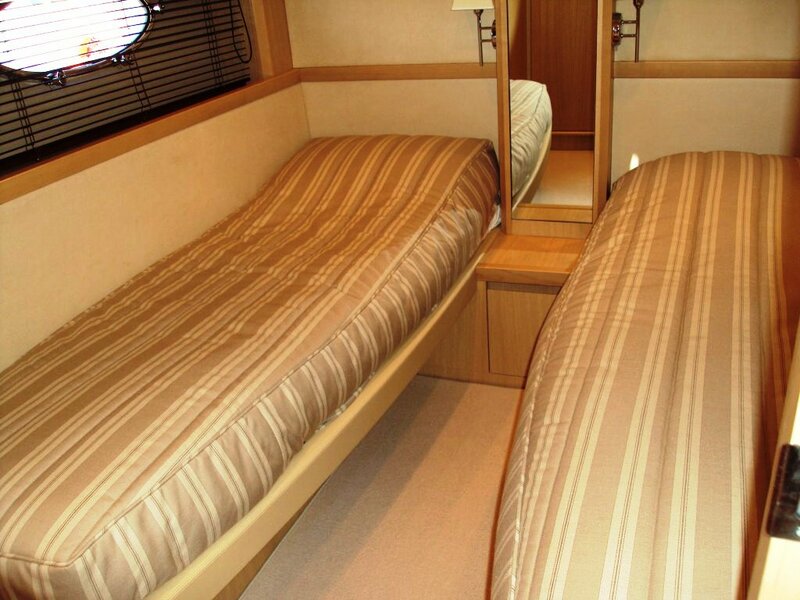 There is also a VIP stateroom and a twin cabin. 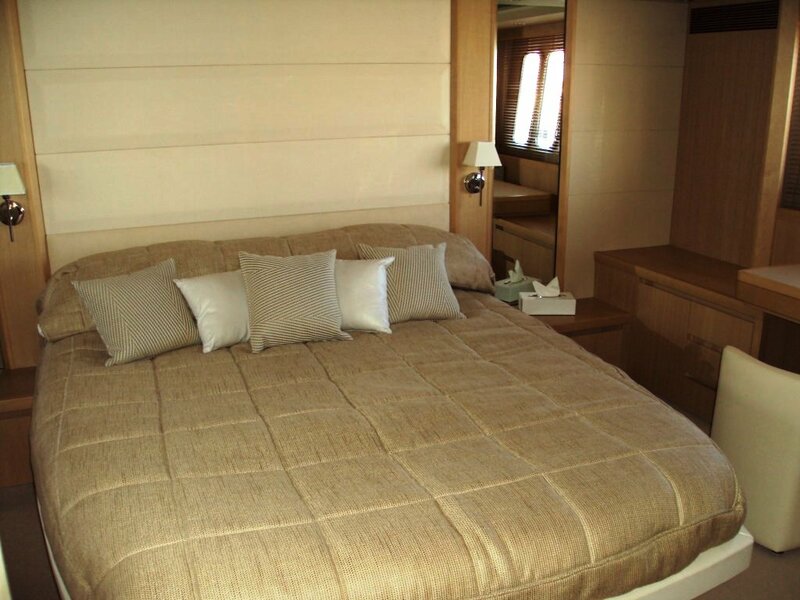 M/Y BAGGIO’s guest accommodation is fitted to the highest standard and each cabin boasts en-suite facilities with stall showers and plenty of natural light and are fully air conditioned. 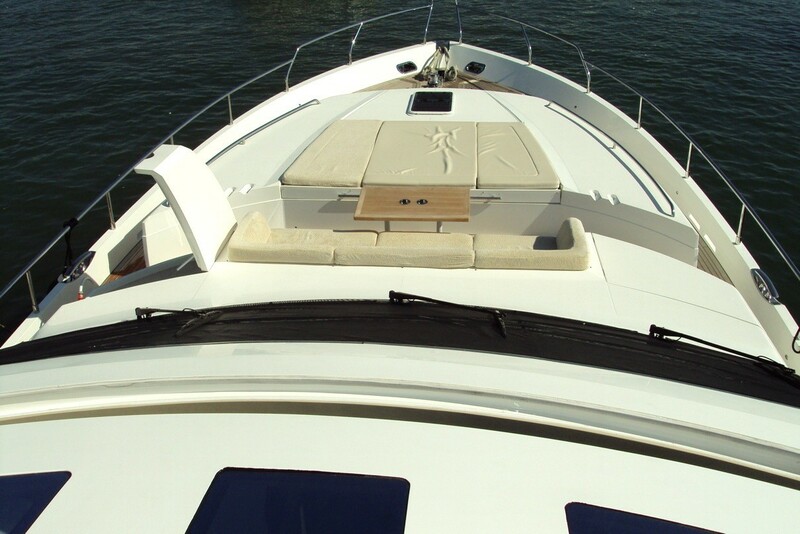 Charter yacht BAGGIO has a social aft cockpit with large sun pad extending over the aft deck and access to the bathing platform. 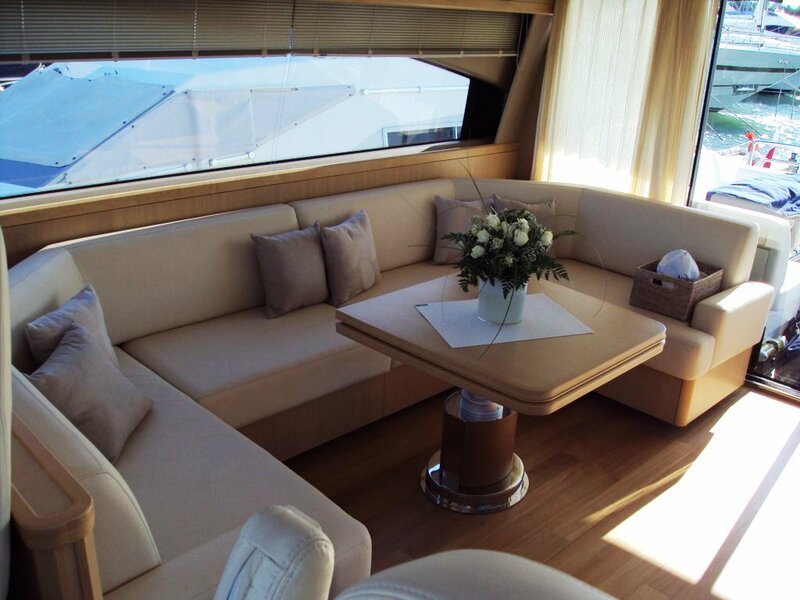 Further forward, it is also possible to relax on the foredeck area. 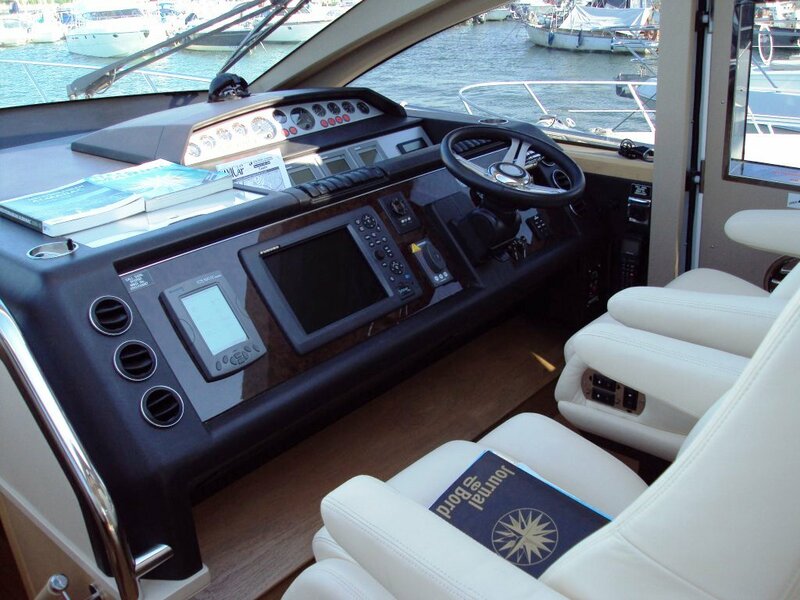 Motor yacht BAGGIO incorporates a balanced layout with innovative design features and levels of performance and handling that have come to define the Princess V Class. 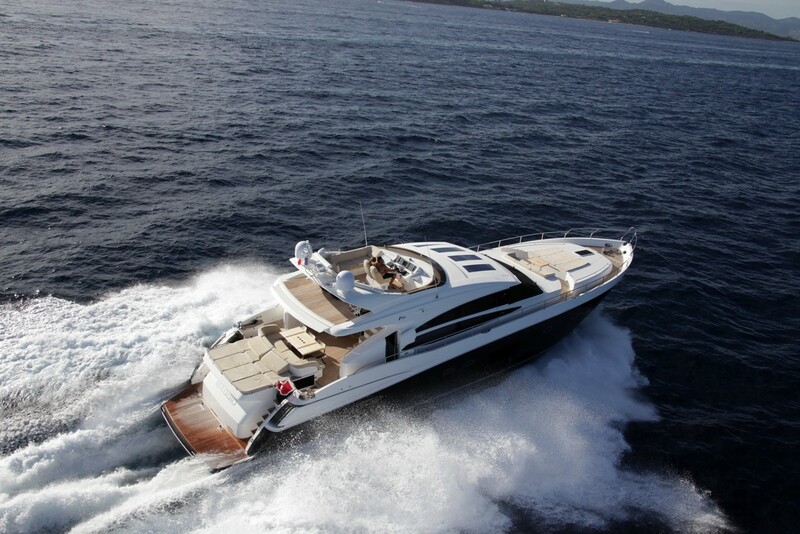 Motor yacht BAGGIO can attain speed so 30-36 and has a crew 2. 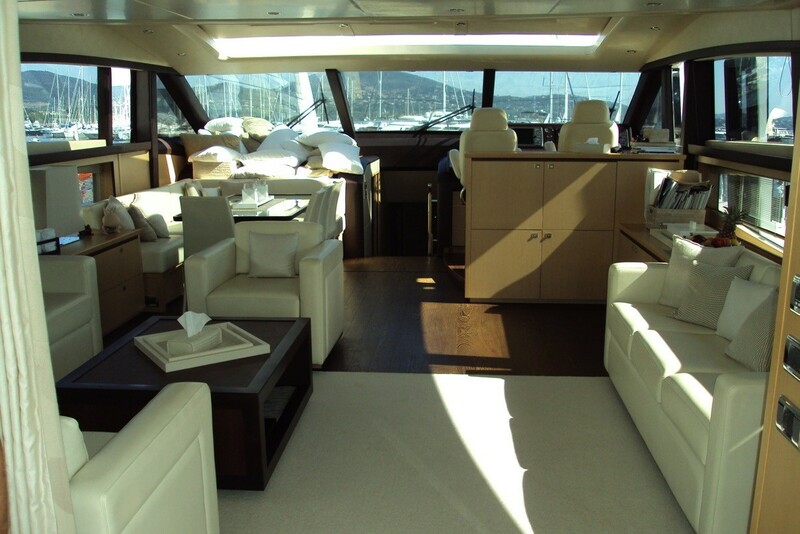 The charter yacht is based in Marines de Cogolin and charters throughout the Western Mediterranean. 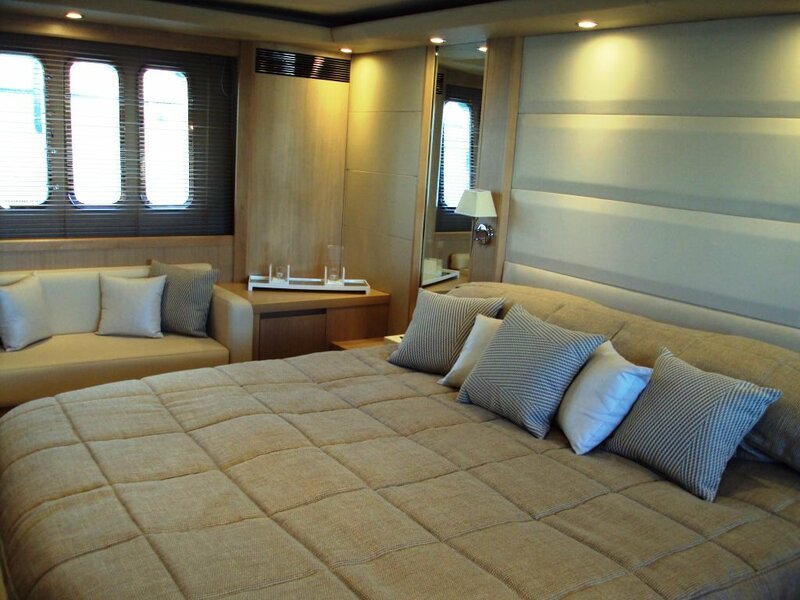 Princess charter yacht BAGGIO can accommodate 6 guests in 3 cabins on the lower deck including a full beam owner’s stateroom amidships, complete with a walk-in wardrobe and an en-suite bathroom. 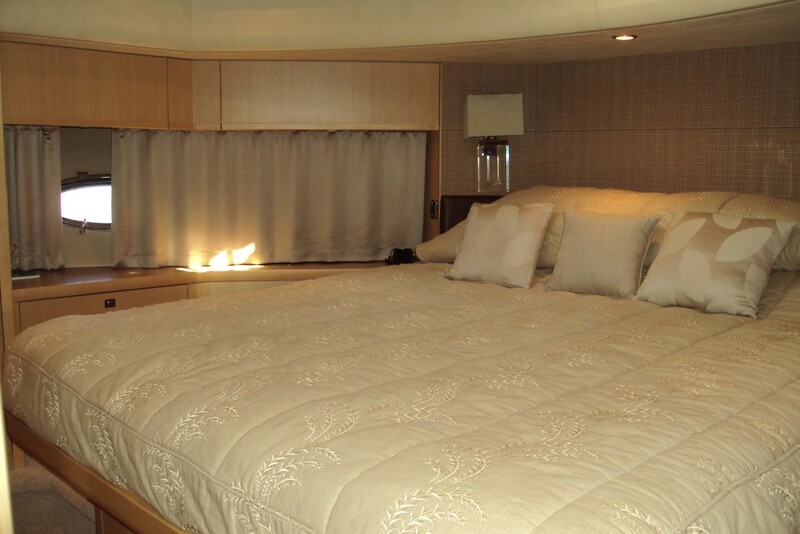 There is also a VIP stateroom and a twin cabin. 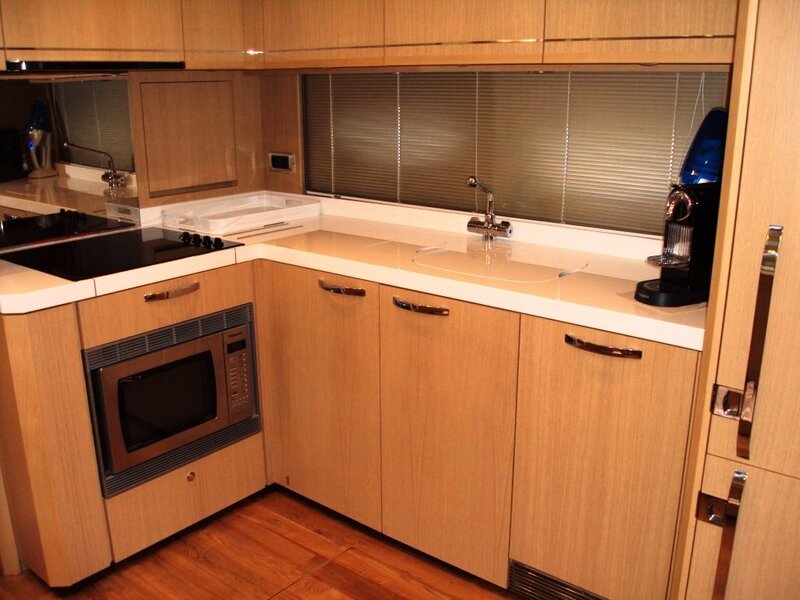 M/Y BAGGIO’s guest accommodation is fitted to the highest standard and each cabin boasts en-suite facilities with stall showers and plenty of natural light and are fully air conditioned. 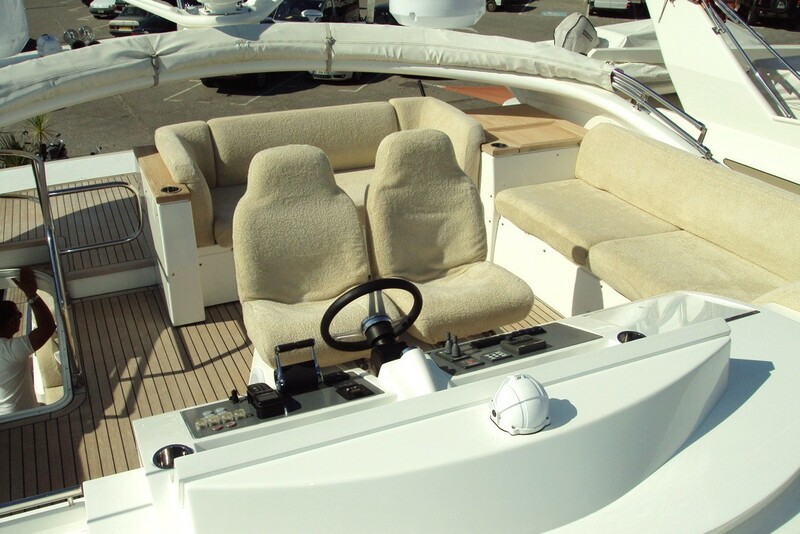 Princess Motor yacht BAGGIO has the following extras onboard: Tenders & Toys include a Tender Avon 3,20m 110hp jet drive, a Jet ski Yamaha 1300 GP (2 seater), Sea Kayak, Snorkelling gear and Fishing gear. 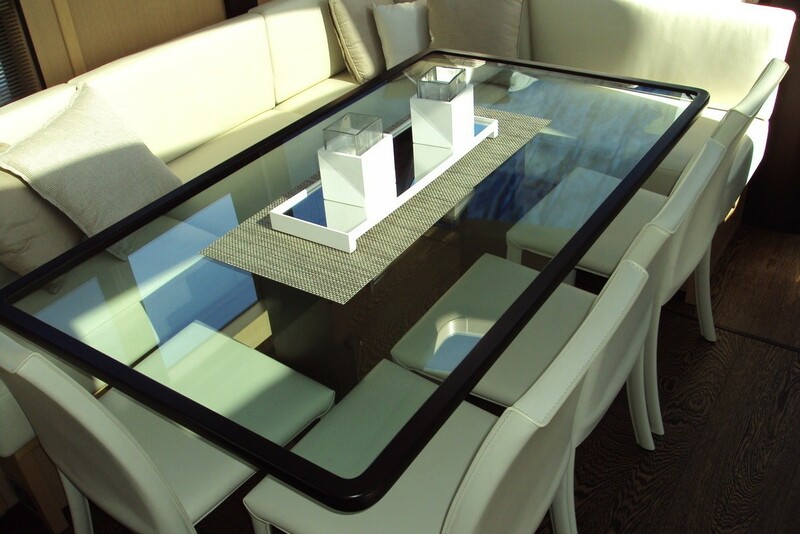 Communications include Phone Satellite communication, VHF, Cellular. 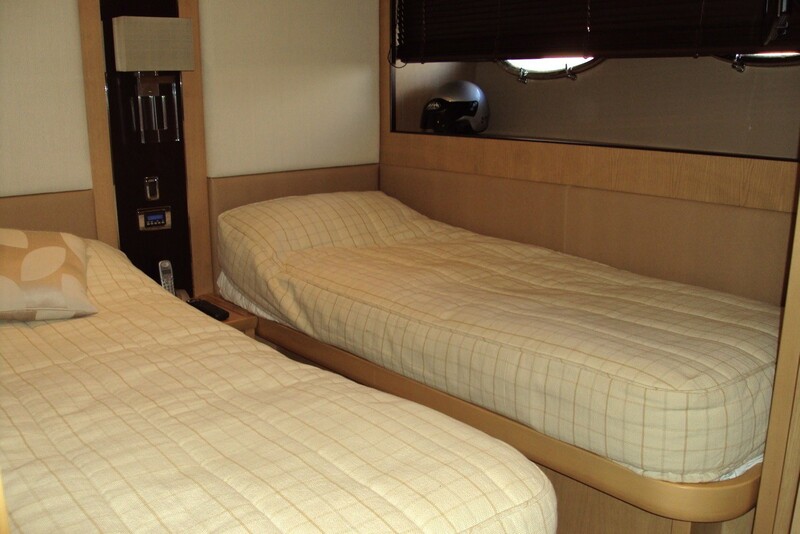 Audio Visual Equipment and Deck Facilities include a Flat screen TV in all cabins and in the saloon, DVD/CD player Bose system. Ipod, Internet connection.